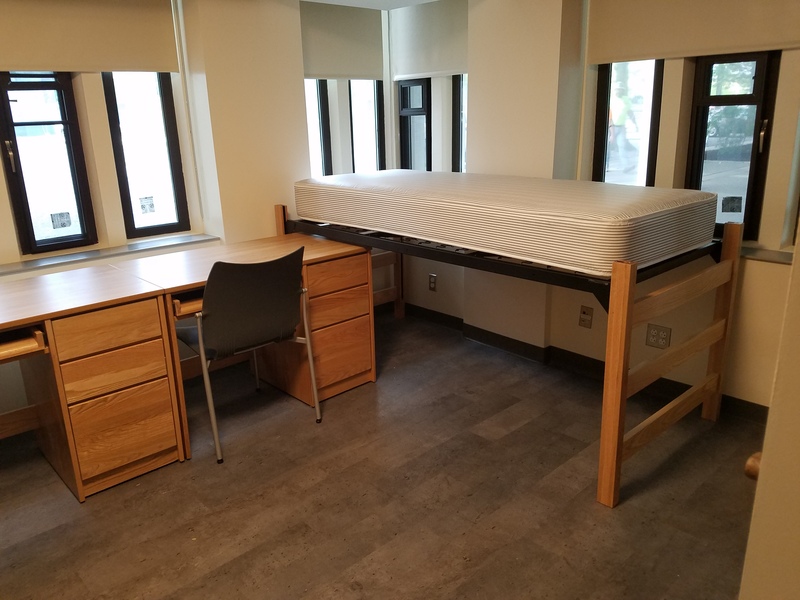 Herkimer Hall is located at Colonial Quad in the northwest corner of the University at Albany, Uptown Campus. 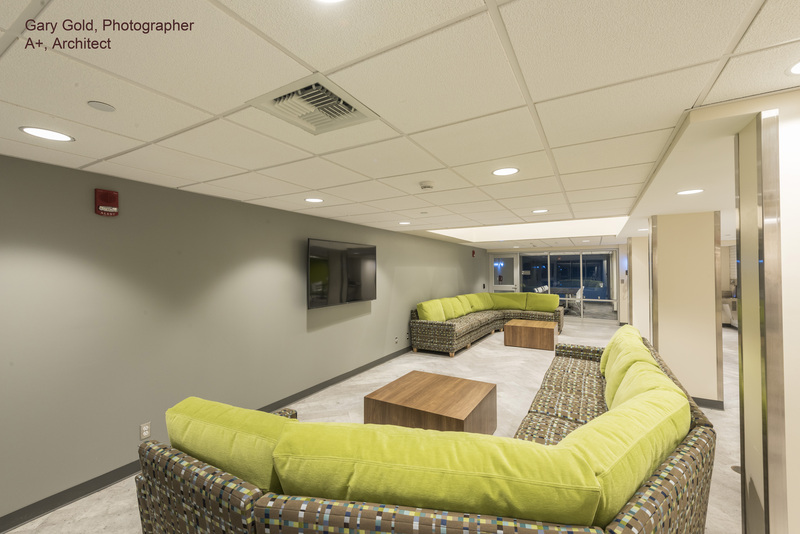 The building nominally totals 20,000 SF, housing 100 beds and includes several floor lounges, a multipurpose space and other building amenities. 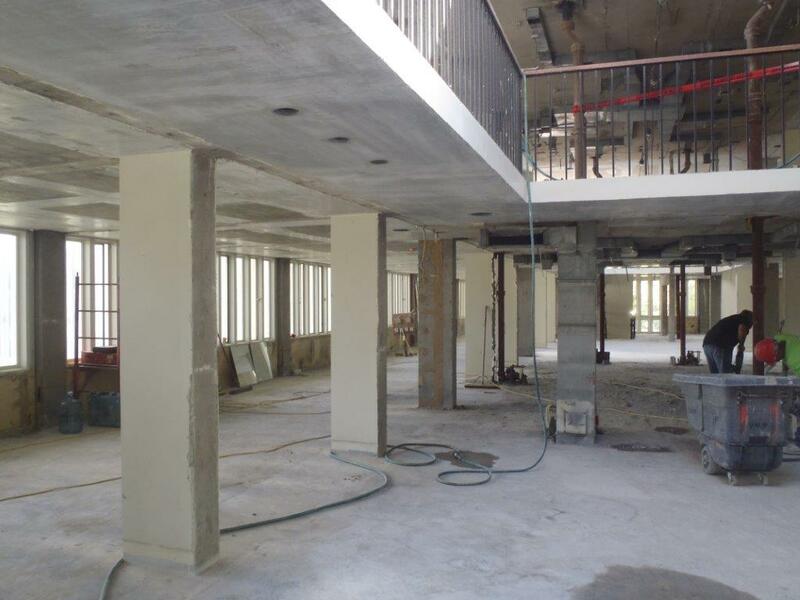 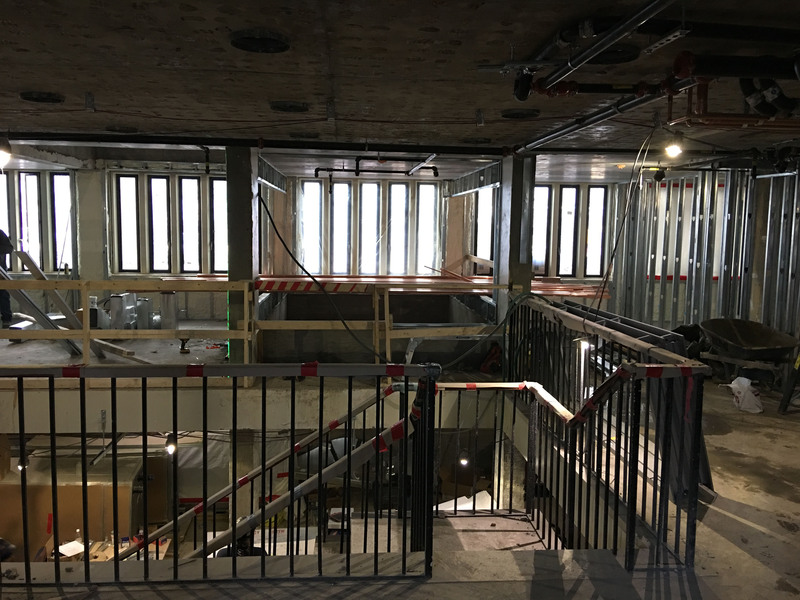 As with most of the original construction on the Uptown campus, the structure consists of reinforced cast-in-place concrete columns and two-way floor slabs. 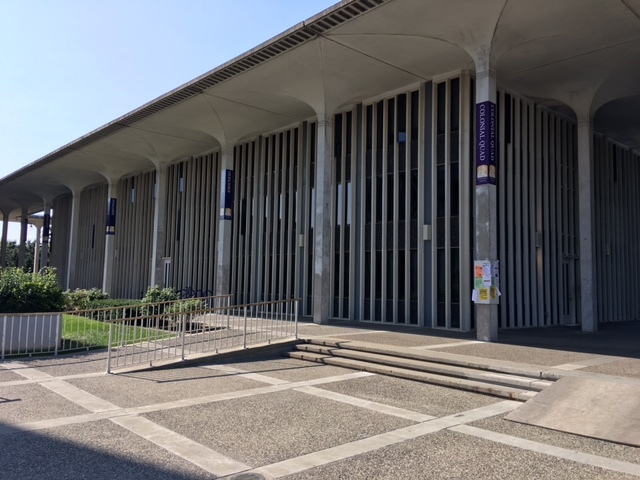 The exterior facades are clad with precast concrete panels with vertical ribs forming the windows. 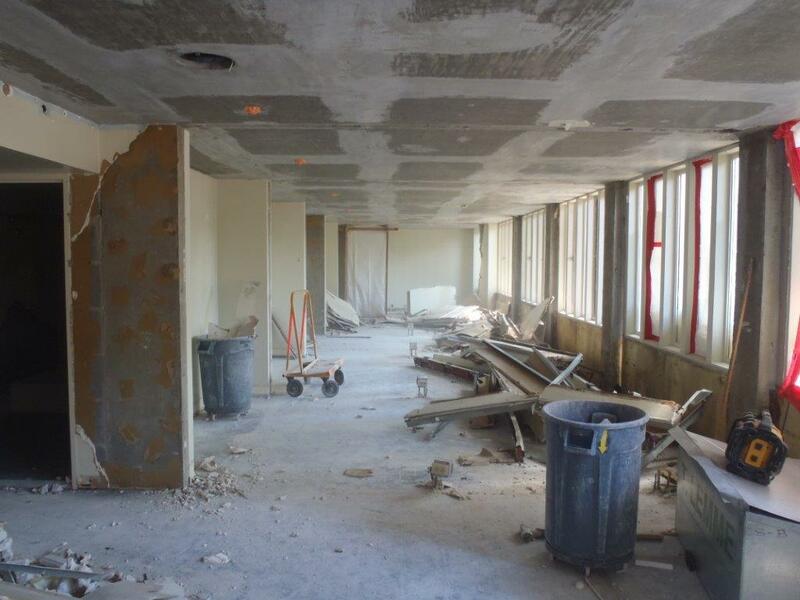 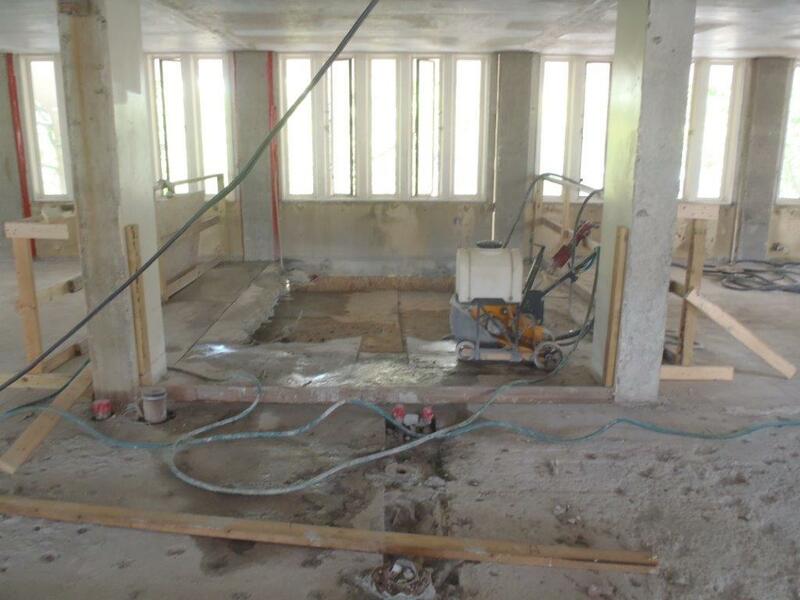 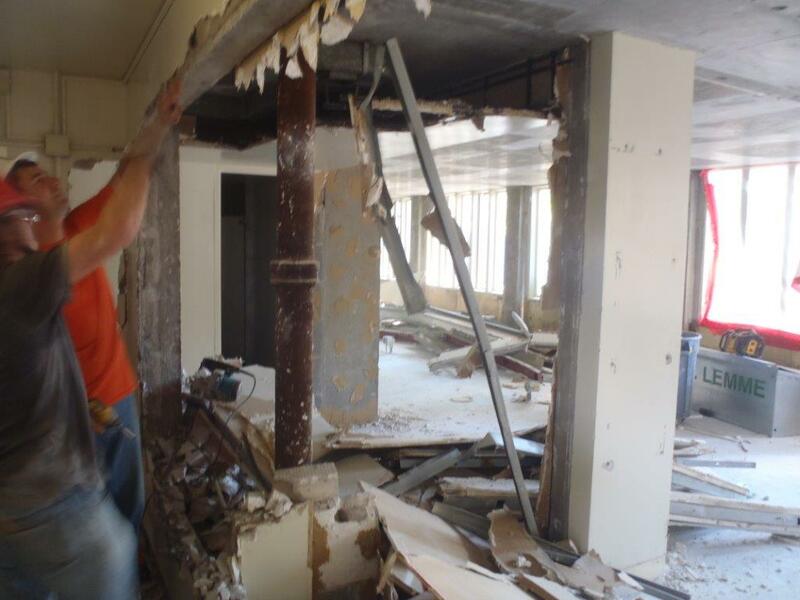 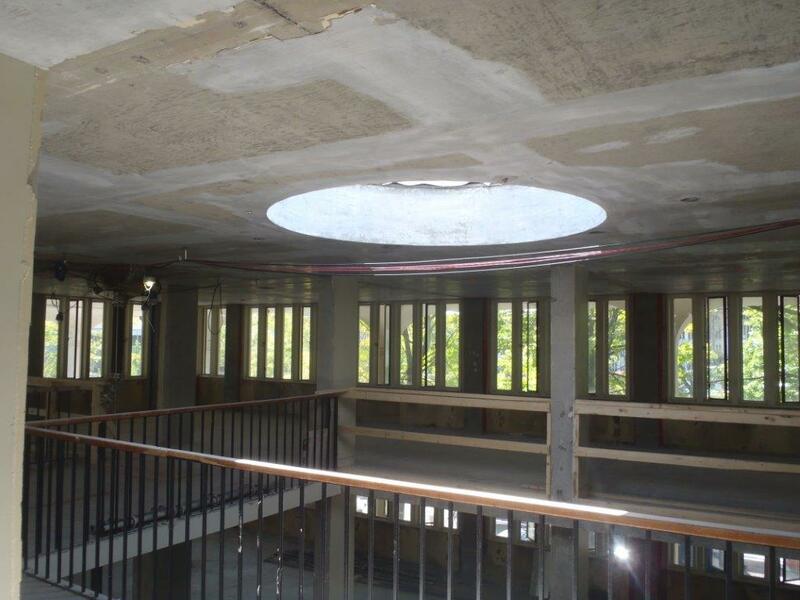 Interior partitions were concrete masonry. 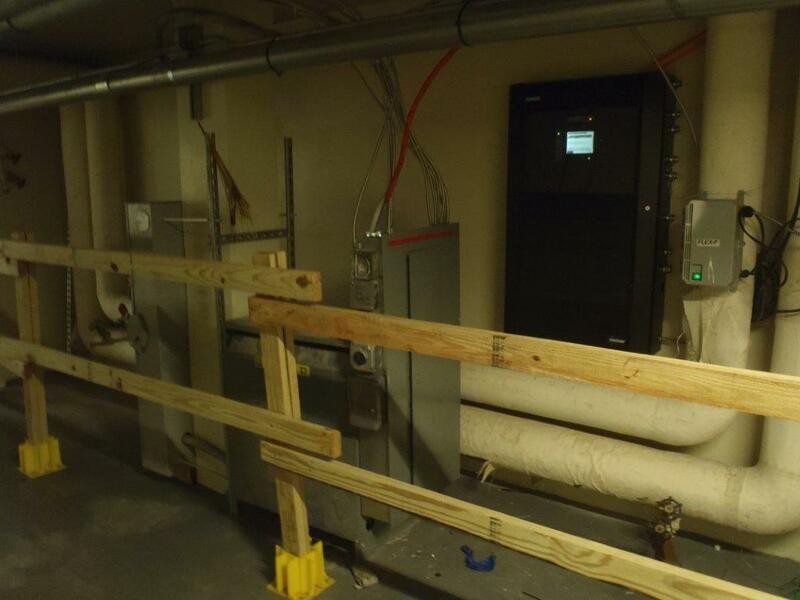 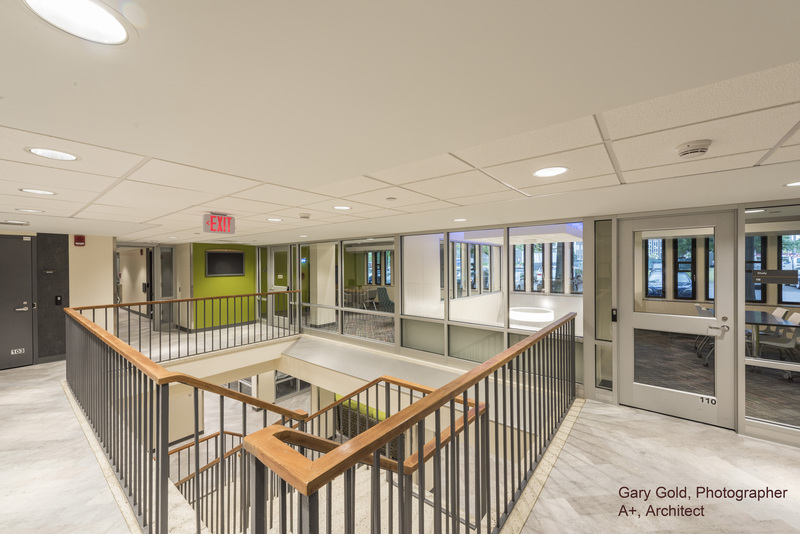 Most of the building components and systems in Herkimer Hall are original and are at or beyond their useful life, requiring upgrades or replacement. 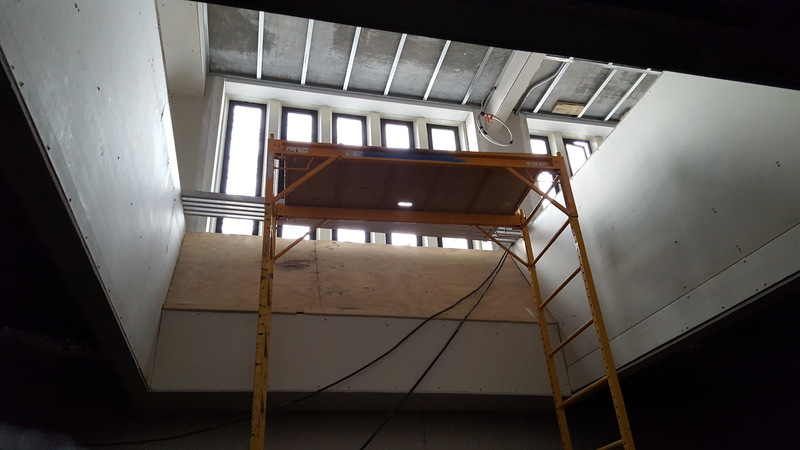 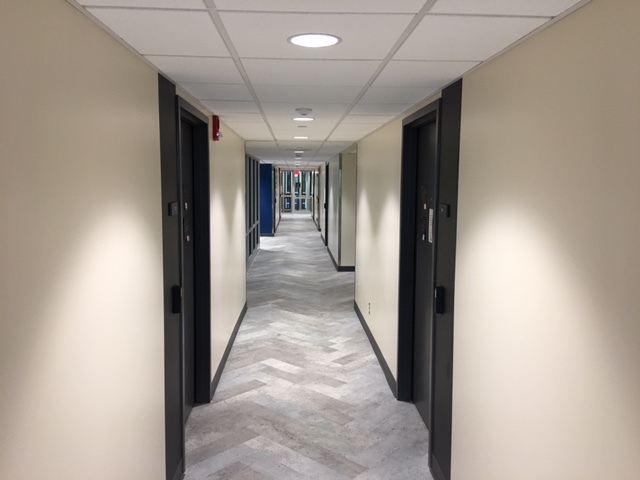 Moreover, many spaces in the building were designed based on older lighting, energy, comfort, and accessibility standards. 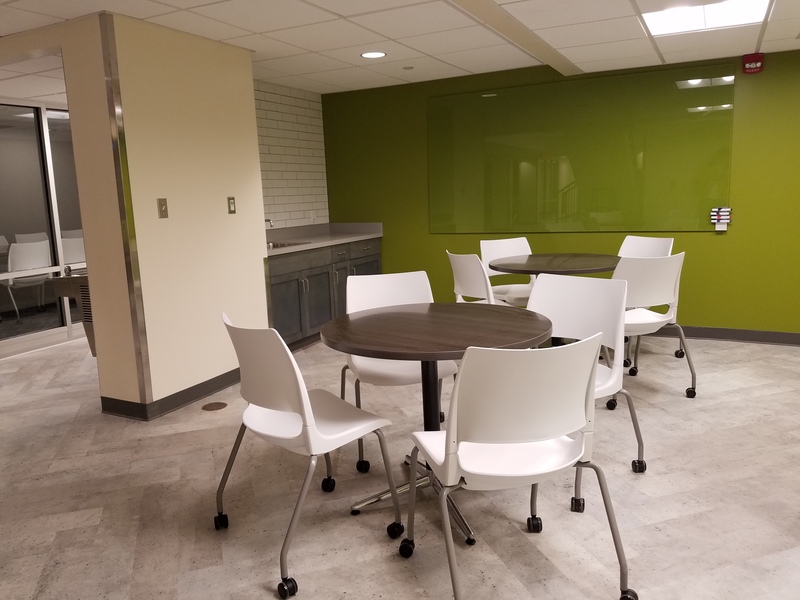 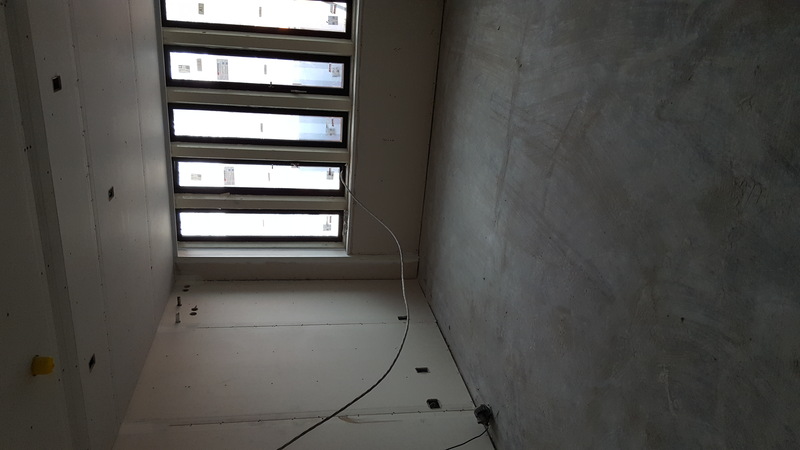 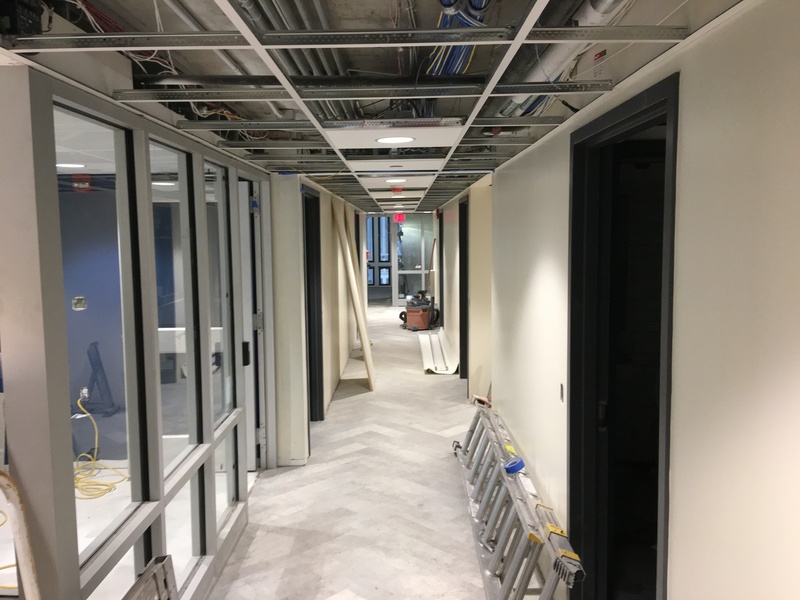 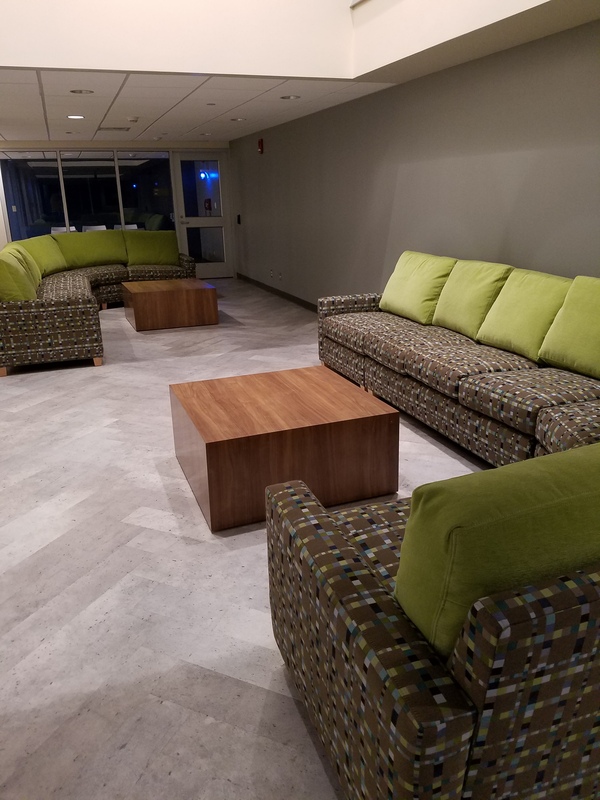 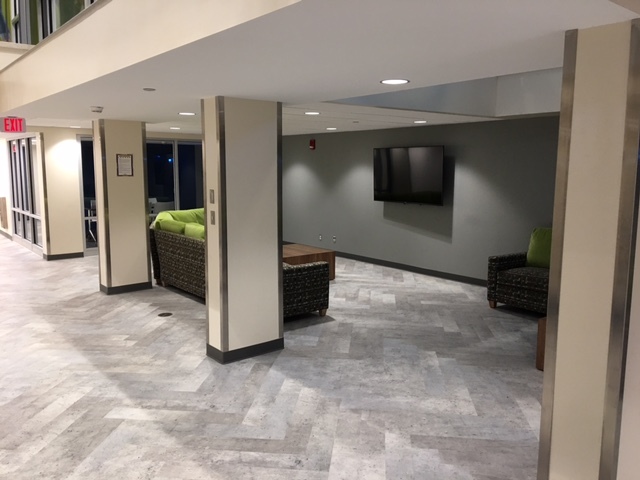 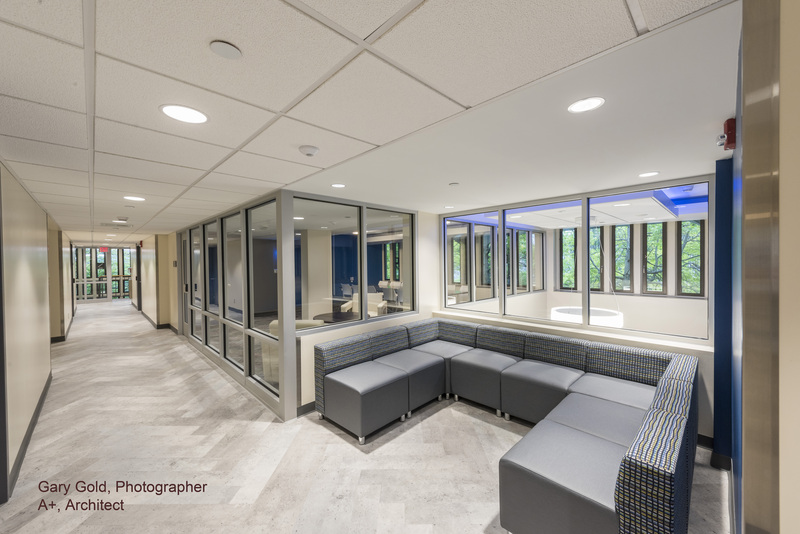 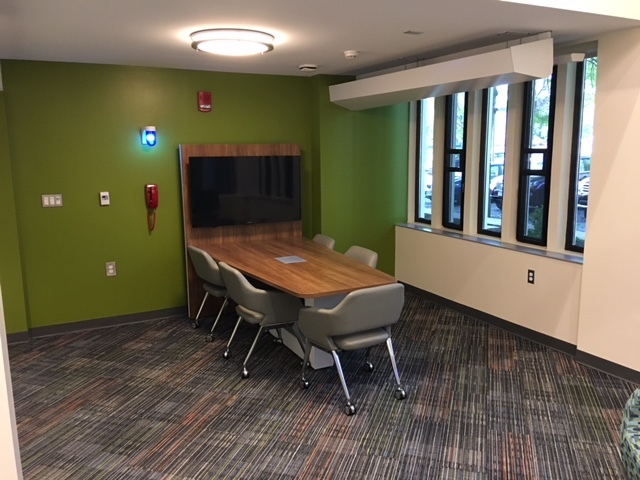 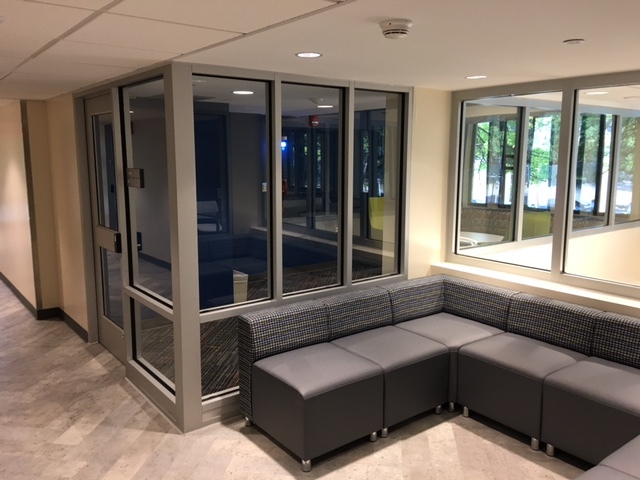 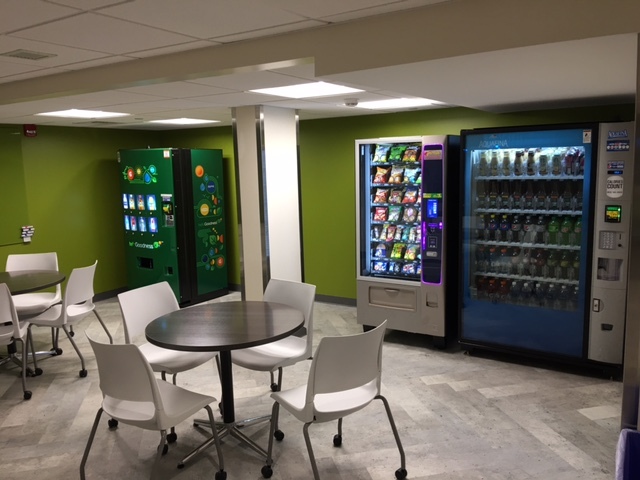 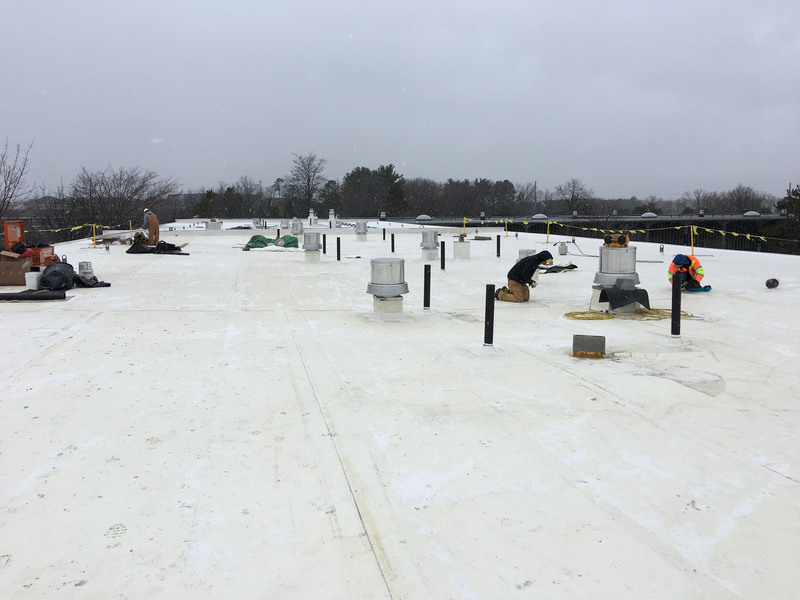 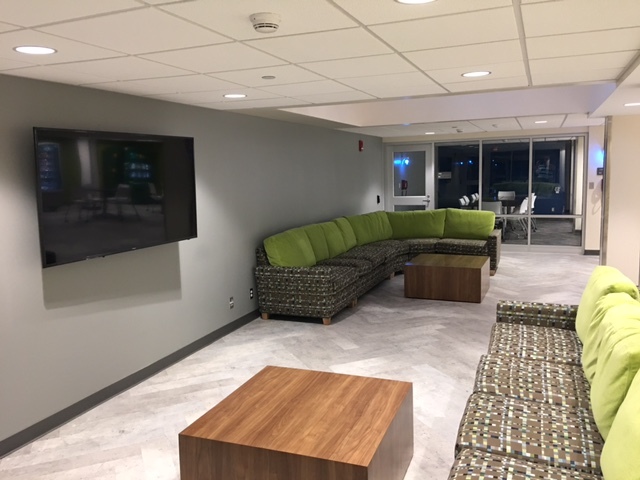 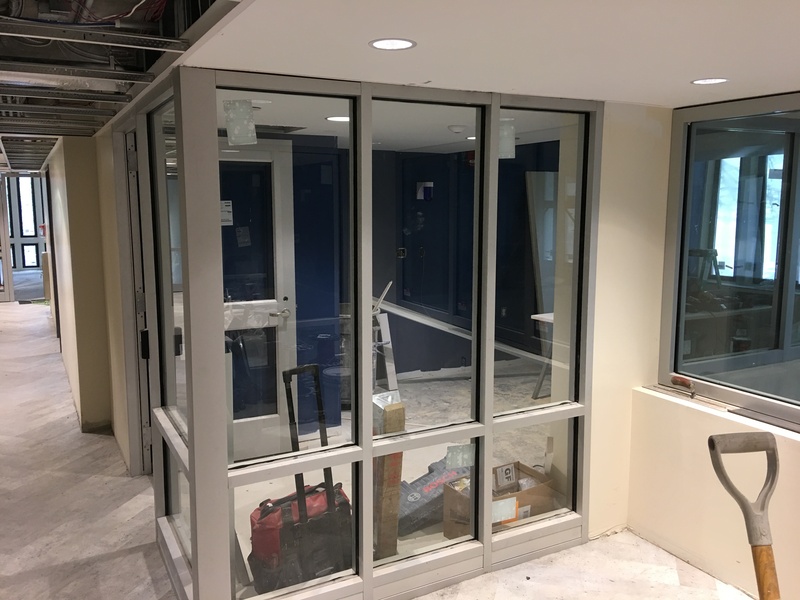 This project, which started in Summer 2016 and was completed for the Fall Semester 2017 is a complete renovation, providing a suite configuration with all new windows, air conditioning, lighting and energy improvements, interior reconstruction, new furniture, and other modern upgrades. 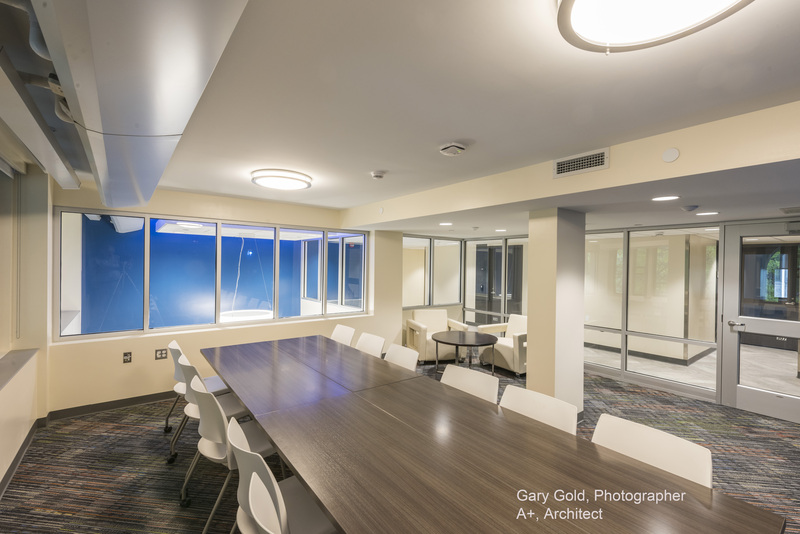 Continuing the University’s commitment to sustainability, LEED Gold certification is anticipated. 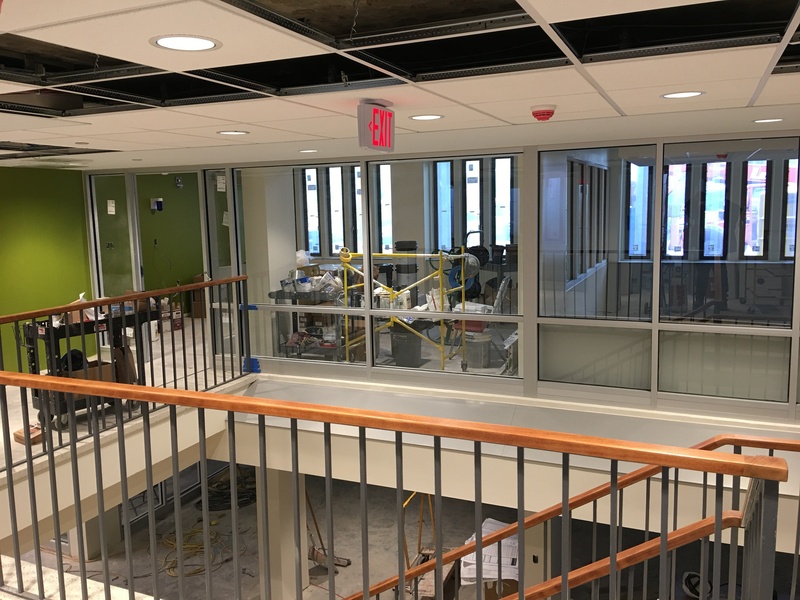 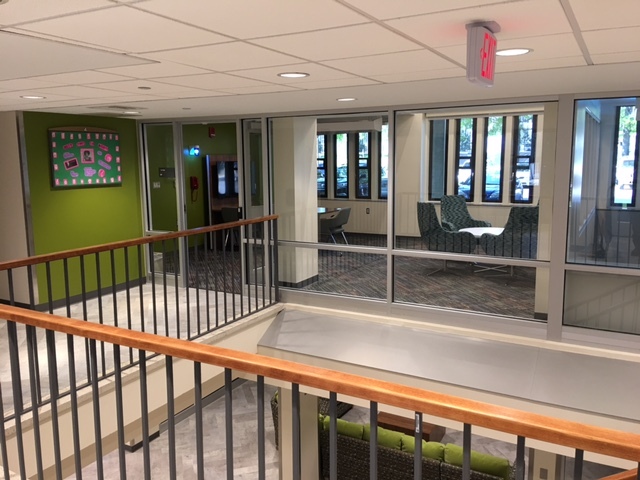 The interior of the building has been completely rehabbed to appeal to the students of the twenty-first century and yet respect that original Mid-Century Modern architecture. 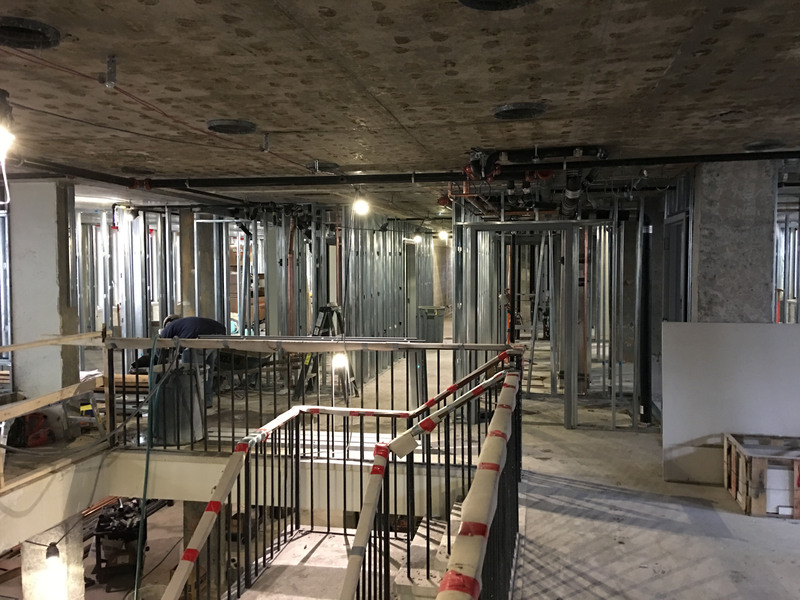 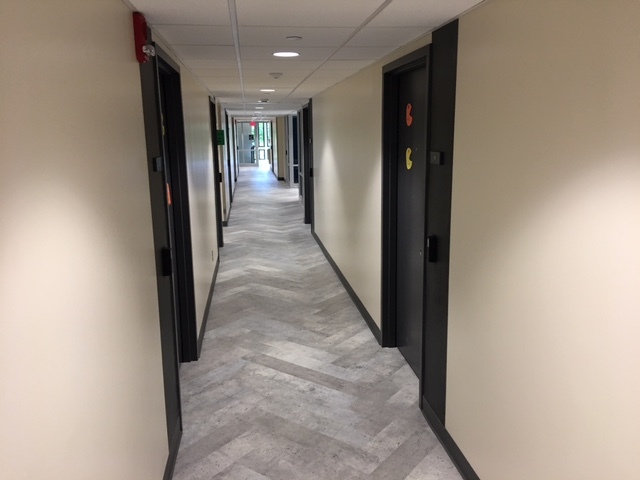 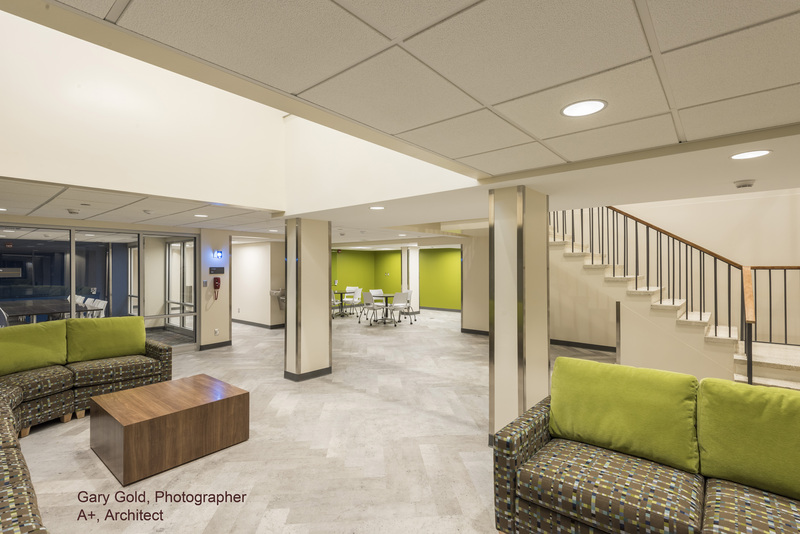 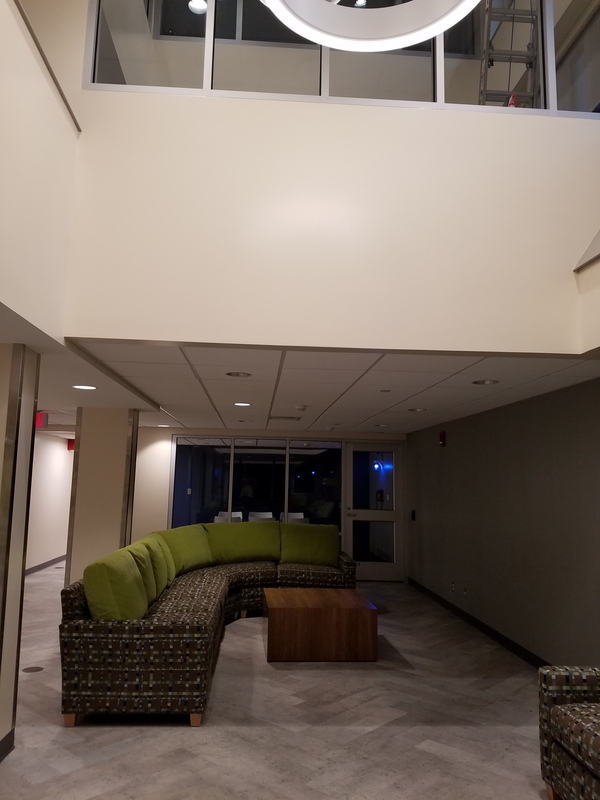 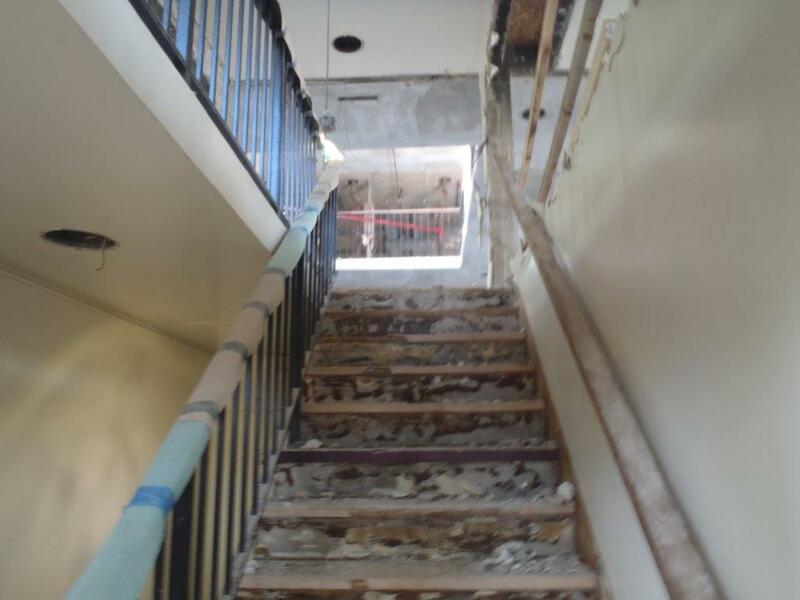 While the original floor to ceiling heights are fixed but the renovation has created several two story volumes to provide interest and relief within the residence hall. 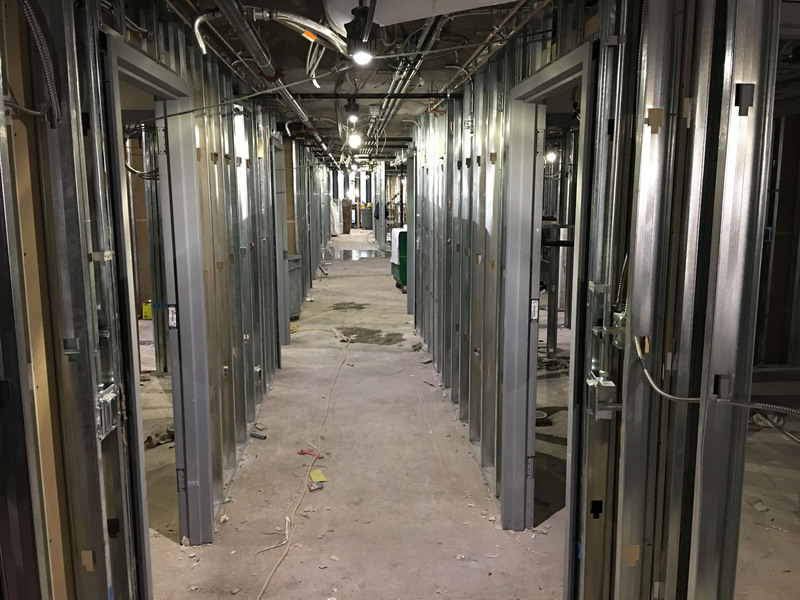 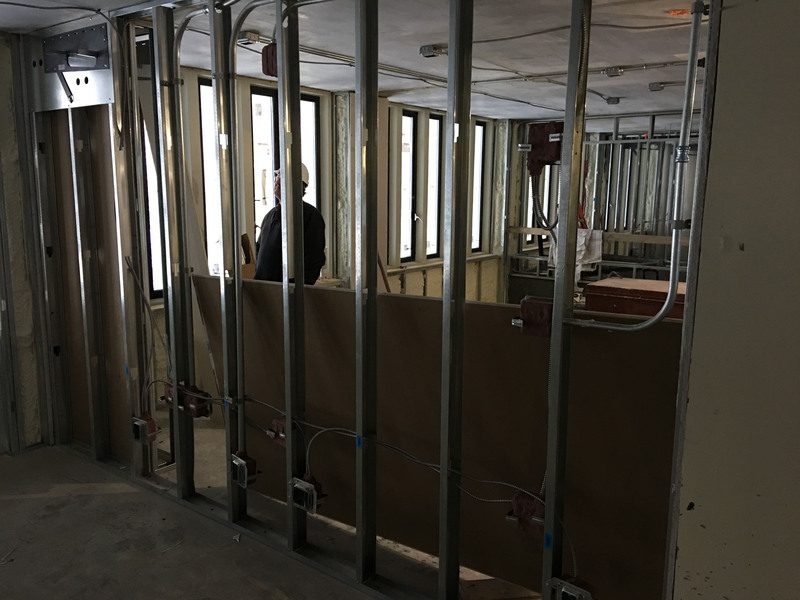 The first floor houses an apartment for the quad director, an enhanced accessibility suite, student suites, lounge and study spaces and laundry room. 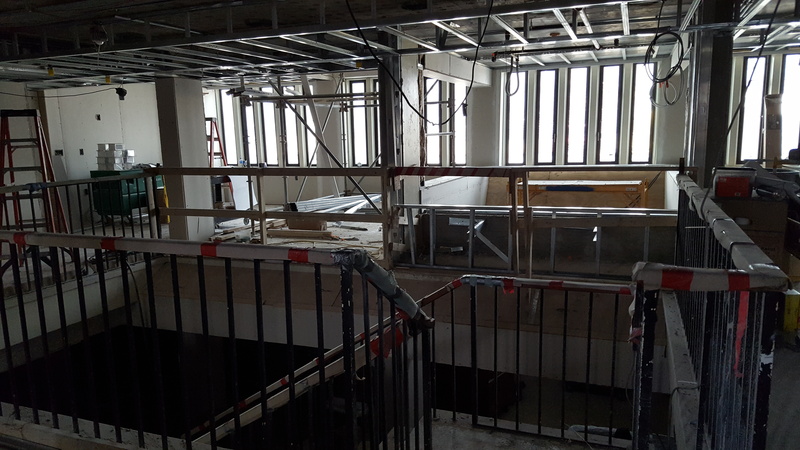 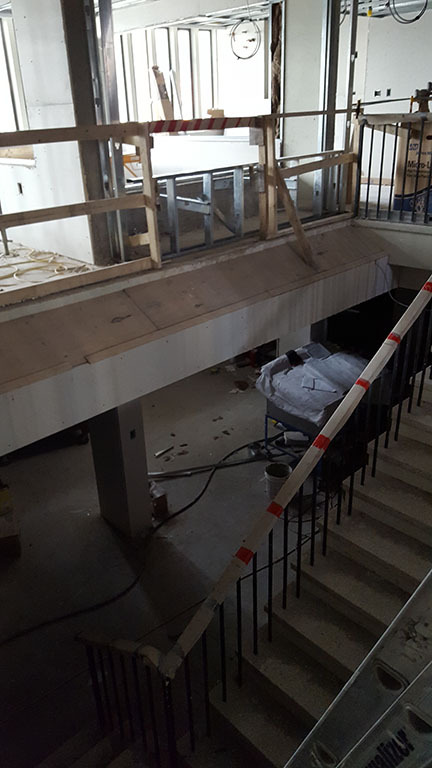 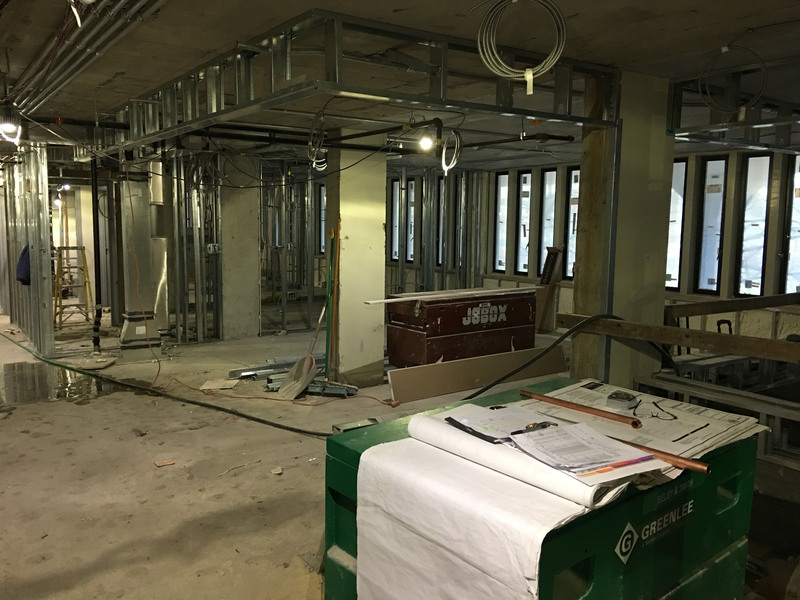 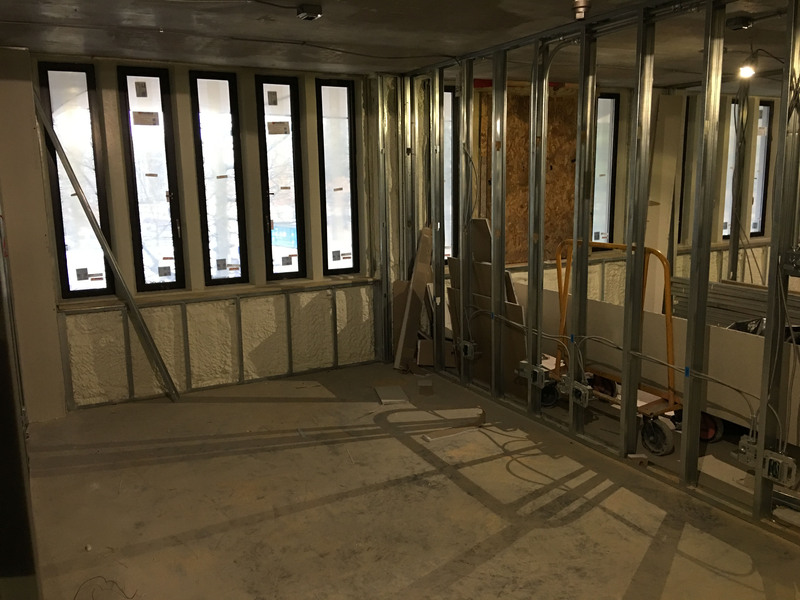 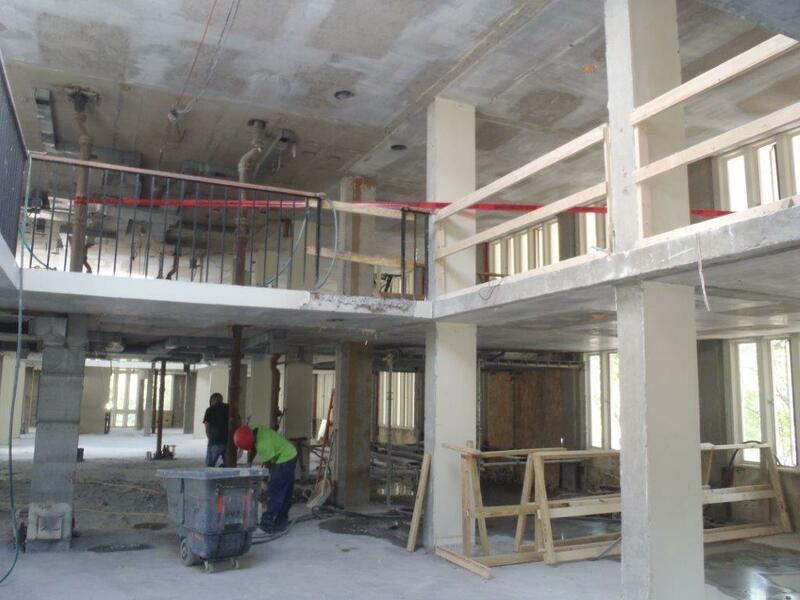 The second and third floor include student suites, student suites, lounge and study spaces and laundry room as well. 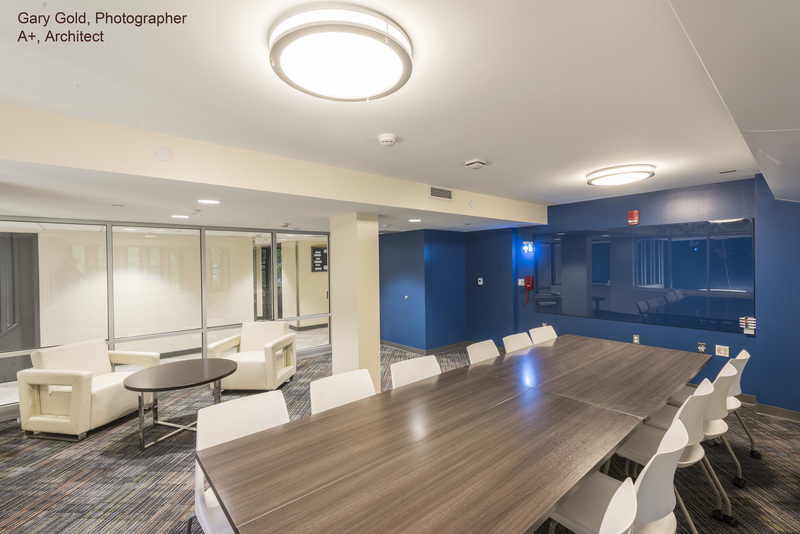 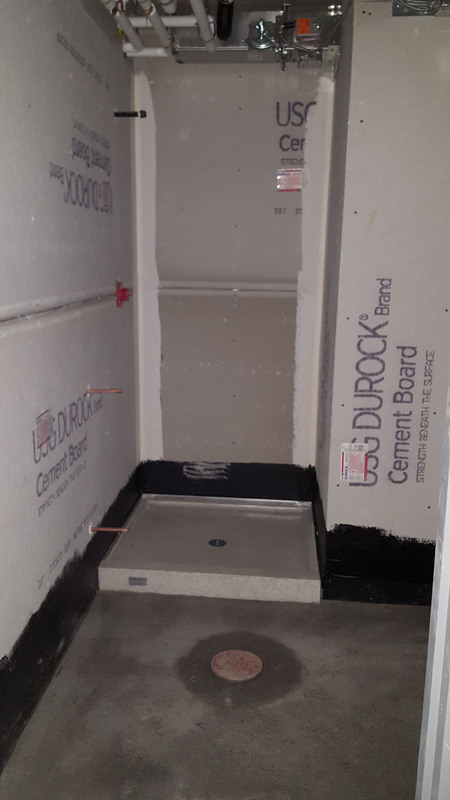 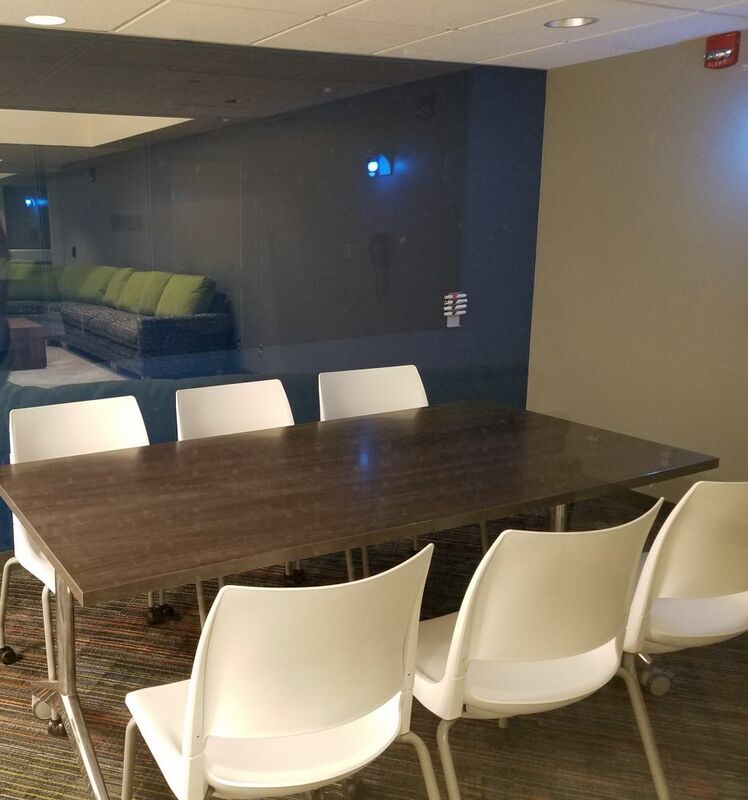 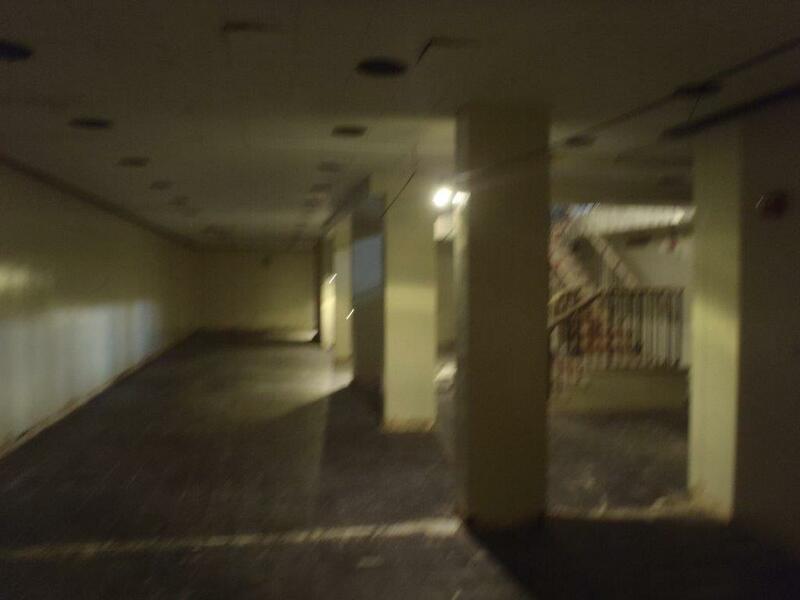 The basement floor provides a large multi-purpose room, two study rooms, and a vending area. 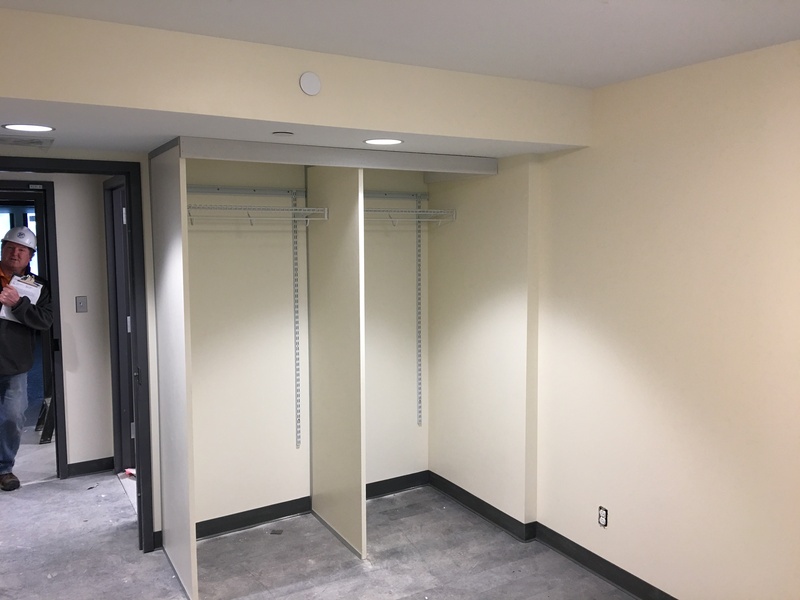 The project has been completed and returned to service for the Fall of 2017.